Dr. Donovan Parks, the lead software developer on the project, is excited about the recent advancement of genome sequencing technology, and how it’s helping reconstruct the bacterial tree of life. 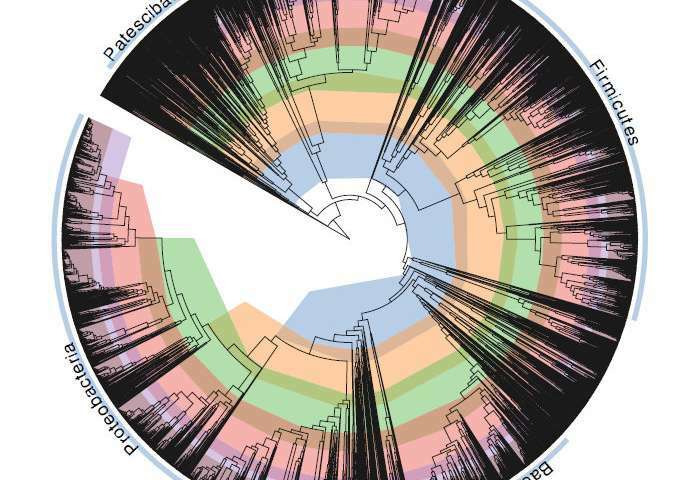 “This tree helped us create a standardised model, where we fixed all of the misclassifications and made the evolutionary timelines between bacterial groups consistent,” Dr. Parks said. Surely this is only the beginning of major reorganizations. The really exciting news is that splintering lecterns in favor of how very, very fundamental current beliefs are and why everyone must believe them is giving way to specific attempts to address the mess. ‘Bout dang time! I’m confident they took horizontal gene transfer into account along the way.